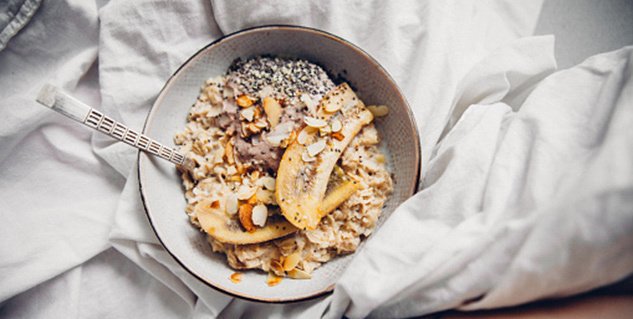 Oatmeal is one of the world's healthiest breakfast foods. It has soluble fibre which keeps you full for long. It helps in weight control and lowers risk of many health conditions. Oatmeal is touted to be one of the world's healthiest breakfast foods. What makes it an ideal breakfast option is whole-grain and soluble fibre which keeps you full and satiated for long. Oatmeal is quick and convenient and makes a nutritious breakfast. Here are some reasons why you should consider oatmeal for breakfast. It has soluble fibre which absorbs considerable amount of water and significantly slows digestion process. This keeps one full for longer and thus, controls weight. According to the American Diabetes Association, eating oatmeal reduces risk for type 2 diabetes significantly. The soluble fibre in oatmeal helps keep a check on blood glucose levels. Moreover, a diet that includes oatmeal may reduce high blood pressure. Again, the reduction is because of the soluble fibre content that oatmeal has. 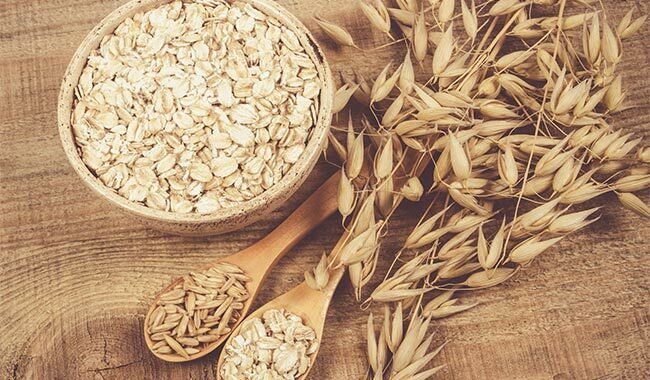 Oatmeal has a bio-active, anti-oxidant compound called avenanthramide which is believed to cleanse arteries, prevent fatty buildup and lower risk of heart disease. Oatmeal gives you a wide range of nutrients and antioxidants including vitamins, minerals, protein, carbohydrates and iron. Oatmeal can be prepared in several ways in a microwave. It can usually be made in less than 10 minutes. Oats are naturally gluten-free. However, it is advised to check the label before you buy. Better to buy oats from a reputable manufacturer. You can prepare oatmeal in several delicious ways. Whether instant, cooked on the stove or baked in the oven, you have plenty of flavouring options to choose from. Just be sure to prepare it a healthful manner. Pre-flavoured oats should be avoided as there can be unnecessary sugars and additives.